Hello Housing is a fast-paced, energetic, entrepreneurial organization committed to making lasting social change. We enjoy using our diverse backgrounds, skills and networks to solve tough social problems. Matt Franklin joined MidPen Housing Corporation as President and CEO in 2008 from an appointed post as Executive Director of the San Francisco’s Mayor’s Office of Housing where he coordinated all City housing policy and oversaw the financing for 3,500 new affordable rental units and the compliance monitoring for 24,000 existing affordable units. Matt’s previous roles include Director of California’s Department of Housing and Community Development where he was the Governor’s lead housing policy advisor; VP of Emerging Markets for Wells Fargo Home Mortgage; and senior positions at the HUD under President Clinton. Matt currently serves on the Board of the National Housing Trust, the California Housing Consortium and the Non-Profit Housing Association of Northern California. Matt received his MPP from the Kennedy School at Harvard University and his bachelor’s in political science from Colgate University. He also attended the London School of Economics and Political Sciences. Rick Jacobus, a national expert in inclusionary housing and affordable homeownership, is the principal of Street Level Urban Impact Advisors. He serves as a strategic advisor to Grounded Solutions Network, a national initiative focused on building more inclusive communities. Rick served as an F.B. Heron Foundation Joint Practice Fellow at CoMetrics, was previously a partner in Burlington Associates in Community Development and a visiting fellow at the Lincoln Institute for Land Policy. He has also served as a lecturer at UC Berkeley and a senior program officer for the Local Initiatives Support Corporation. Rick is the author of Inclusionary Housing: Creating and Maintaining Equitable Communities published by the Lincoln Institute for Land Policy and numerous other landmark publications. He has a Bachelors degree from Oberlin College and a Masters of City Planning degree from UC Berkeley. Gina Diaz is a technology licensing professional with over 14 years experience working to address a wide-variety of legal, licensing, policy, compliance and management matters for enterprise companies, consulting firms, clients and non-profit organizations. Gina serves as Corporate Counsel for Oracle’s Commercial Legal Group and is responsible for providing legal negotiation support and advice on a variety of Oracle products and services. Gina has established herself as a software compliance subject matter expert and has represented clients in adversarial, high-stakes negotiations. In 2009, Gina was also a founding member of Leading Women in Technology (LWT) a non-profit organization in Silicon Valley with the mission of unleashing the potential of professionals who advise technology businesses and executives. Gina currently serves as a board member for Hello Housing, MidPen Housing Corporation and Opportunity Fund. Gina received her J.D. and M.B.A from Arizona State University and her B.A. in Entrepreneurship and Finance from the University of Arizona. Tom Casey has over 17 years of experience in affordable homeownership, mortgage finance, property management, constrution and real estate development. 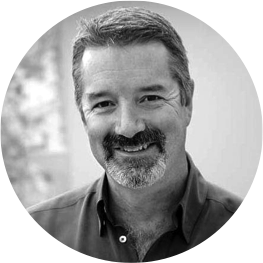 He is a VP of Real Estate Development with Dogtown Development Company where he develops residential projects, primarily in Oakland. Prior to this, Tom served as a VP of HomeBricks (the predecessor to Hello Stewardship) where he oversaw strategic, operational and IT responsibilities for the organization’s administrative, marketing and lending services. Tom has a Bachelors degree in Music and History from Stanford University and an MFA in Classical Performance. He is a licensed real estate broker and general contractor.